Jane Melby Barrel Horses and Clinics | Cayla and I visited our good friends and sponsor Shorty's Caboy Hattery today! I have been wearing Shorty hats since 1993! Love the fit, style and long life span of a Shorty! Cayla and I visited our good friends and sponsor Shorty's Caboy Hattery today! I have been wearing Shorty hats since 1993! Love the fit, style and long life span of a Shorty! Cayla also ordered her custom made Shorty today! 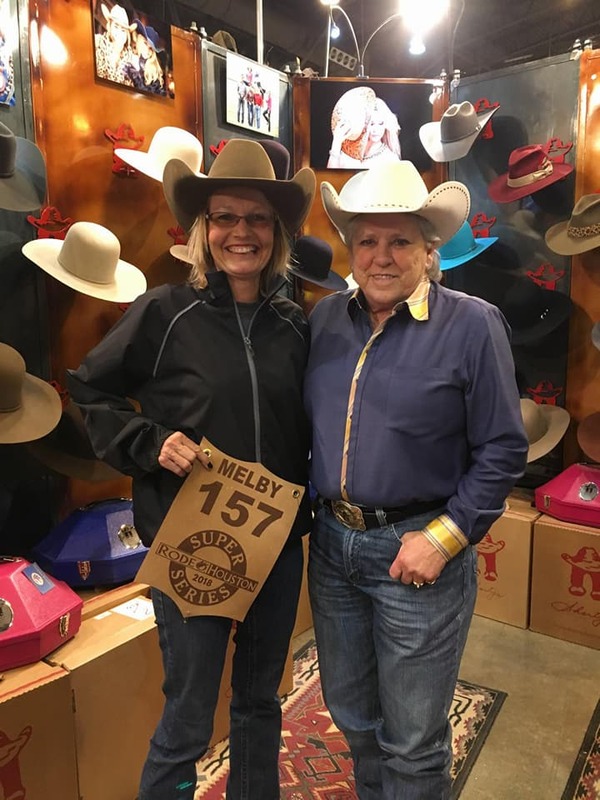 Thank you Shorty's Caboy Hattery for being a long time member of Jane Melby & Team!